HR Consulting - 2Soft Solutions | HR Consulting in Mumbai, Pune, Delhi, Noida, Bangalore, Chennai, India. 2Soft Solutions provides a wide variety of management and human resource consulting services. 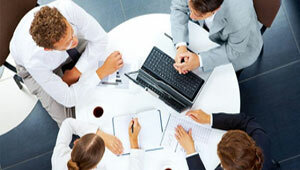 Our consulting services are provided on-site or off-site, or a combination that best meets the client's needs. Some organizations select our services to supplement an existing human resource department while others find it advantageous to utilize our services in place of a formal human resource function. The primary role of 2Soft Solutions is to facilitate identified, necessary change within an organization in order to enhance the savings accounts of the company. Our management, human resource, and training services are intended to improve productivity, efficiency, communication, and employee morale. Whatever your industry, 2Soft Solutions will work with your company to identify needs, develop an action plan, and assist with implementation. HR Turnkey Projects (Setting HR Systems for New Organisations).